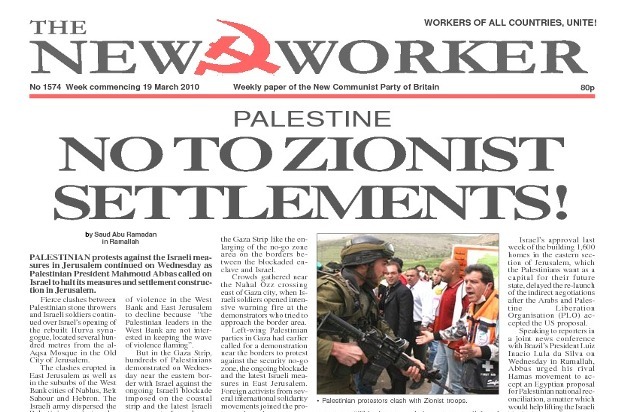 PALESTINE - NO TO ZIONIST SETTLEMENTS! PALESTINIAN protests against the Israeli measures in Jerusalem continued as Palestinian President Mahmoud Abbas called on Israel to halt its measures and settlement construction in Jerusalem. AS THE 2010 GENERAL election nears the opinion polls are becoming erratic, the latest putting the Conservatives just five points ahead of Labour, though that has ranged from 11 points to two points ahead according to different polls in the last fortnight.